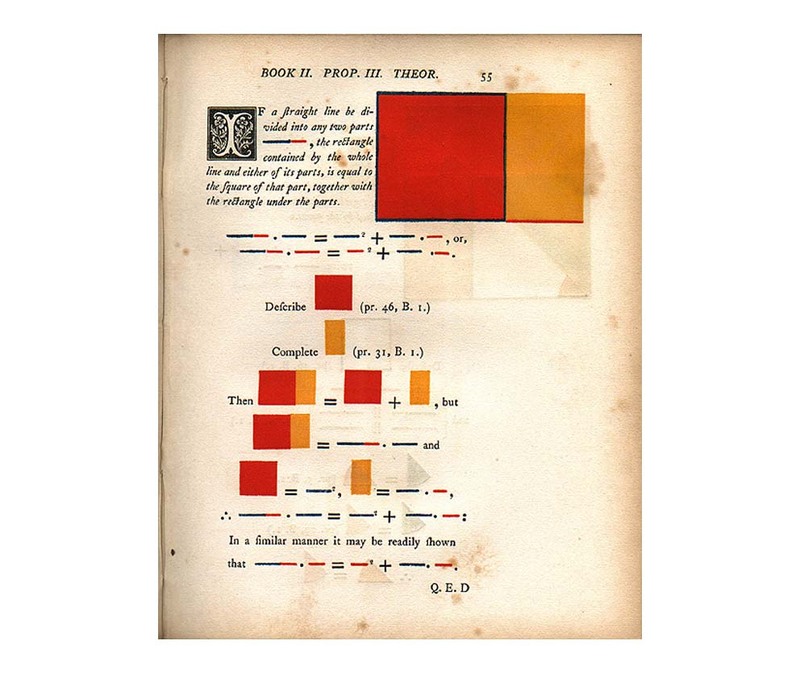 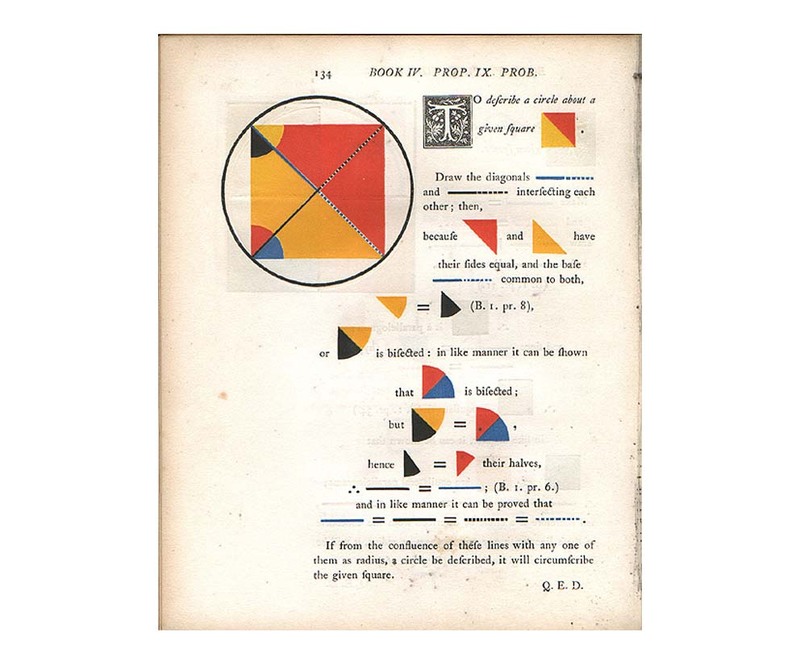 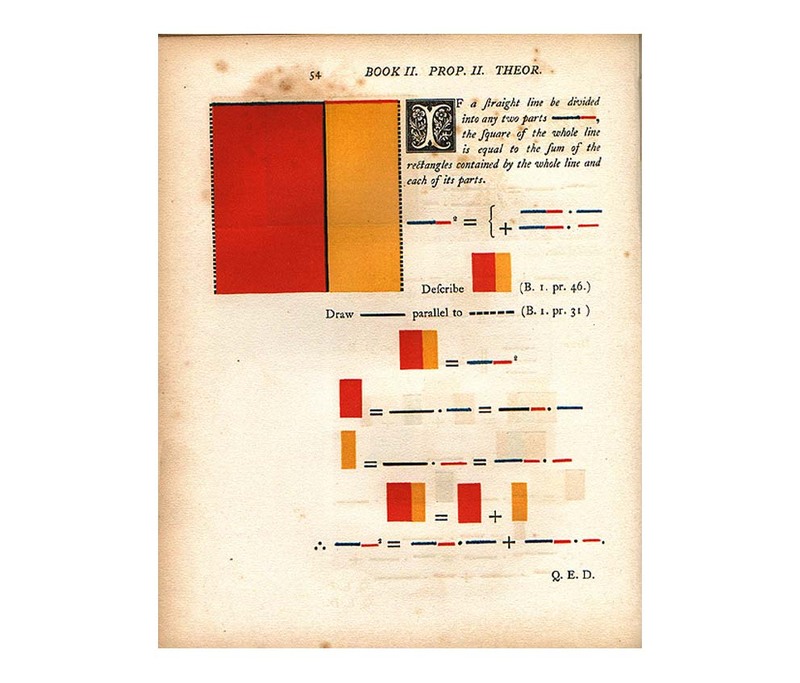 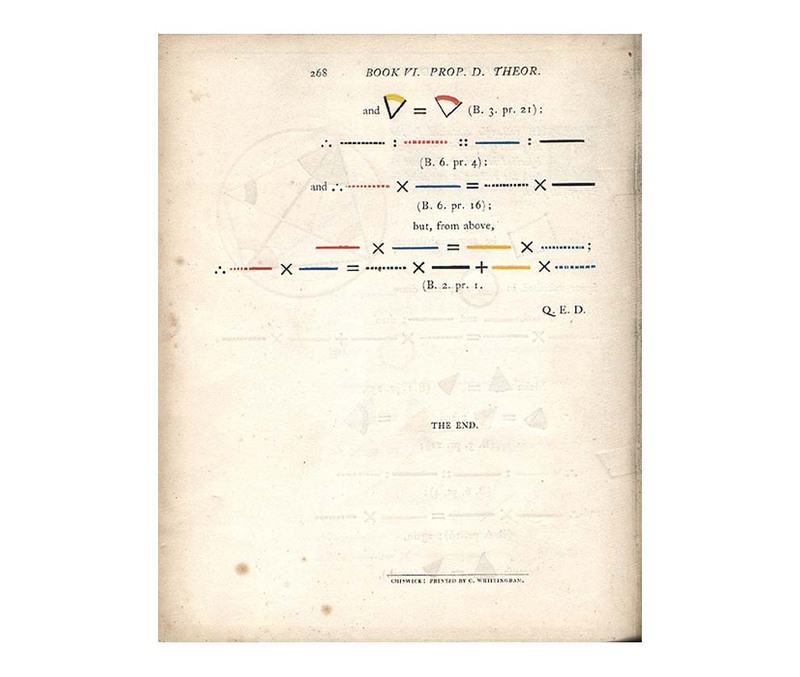 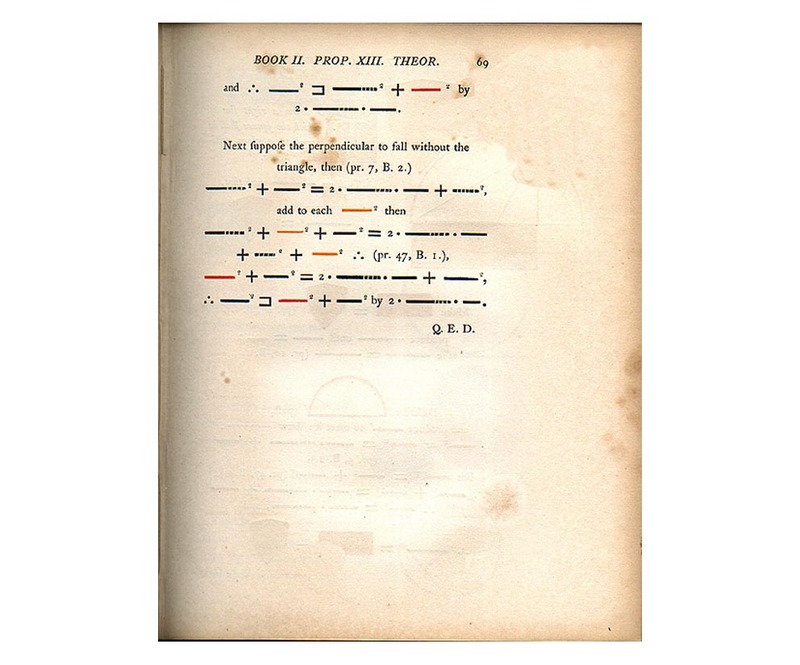 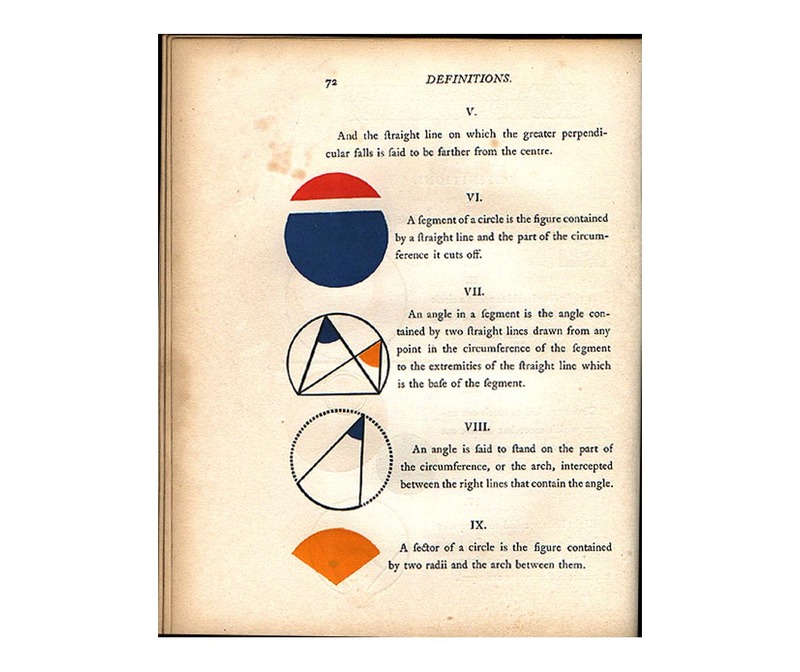 The First Six Books of Euclid with coloured diagrams, Pickering London 1847. 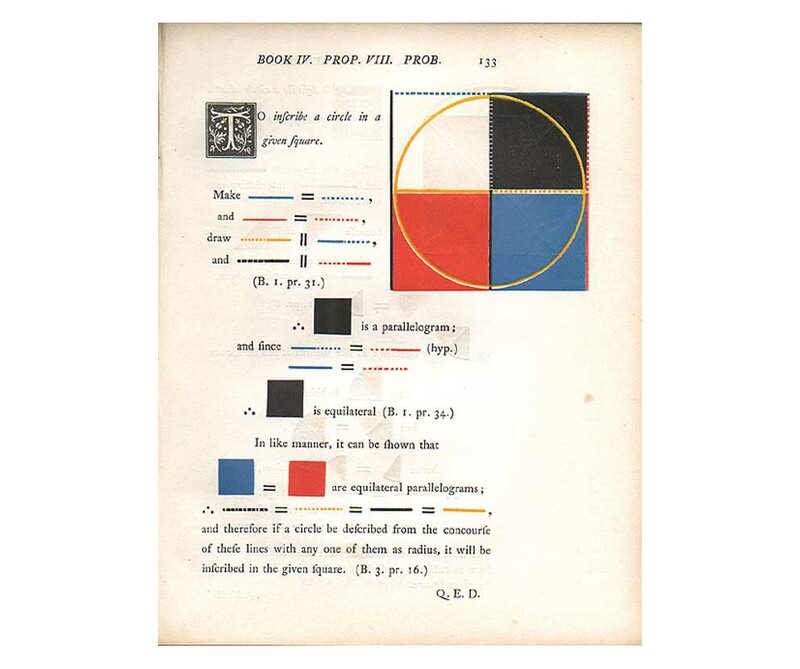 See also R.Maclean, Victorian Book Design and Coloured Printing, NY 1963. 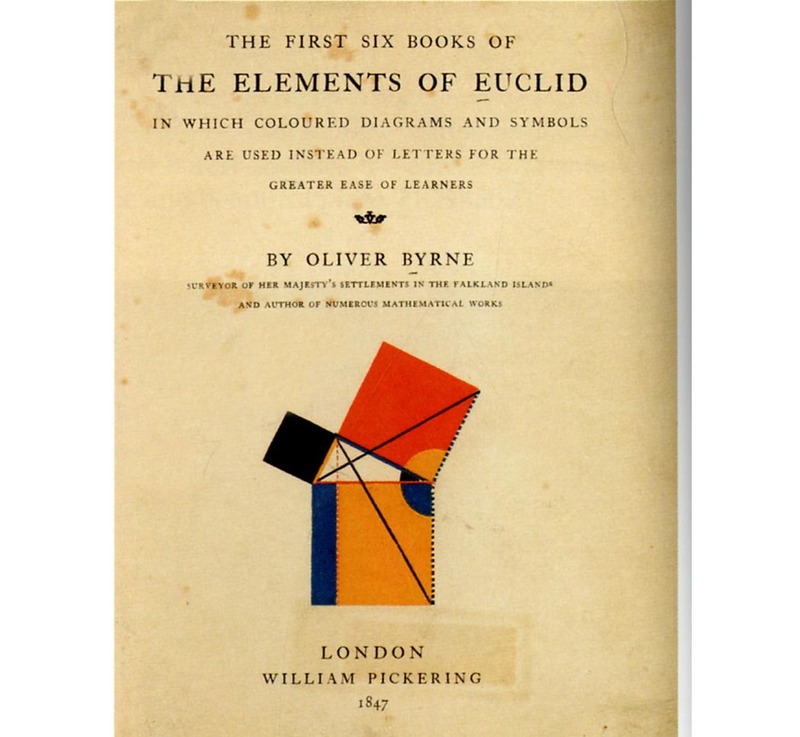 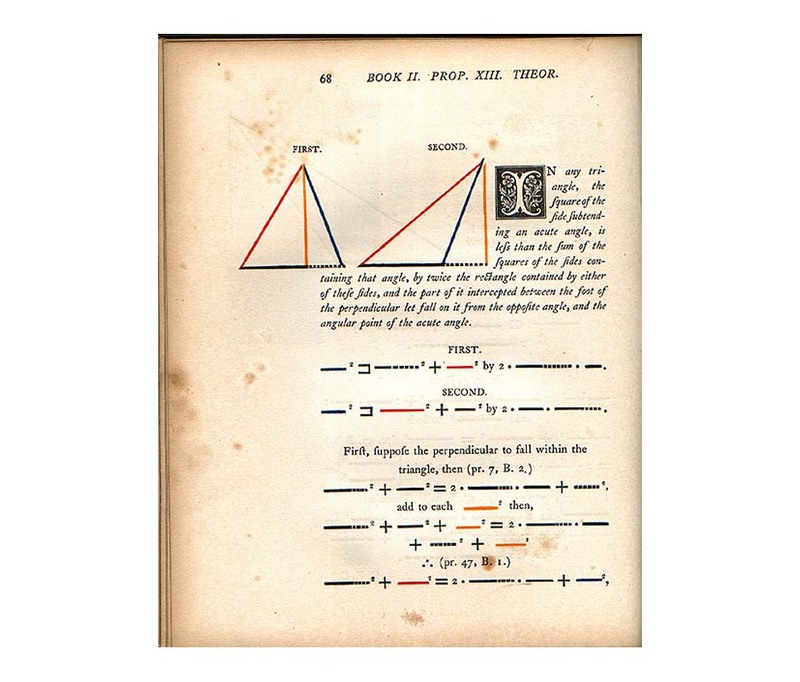 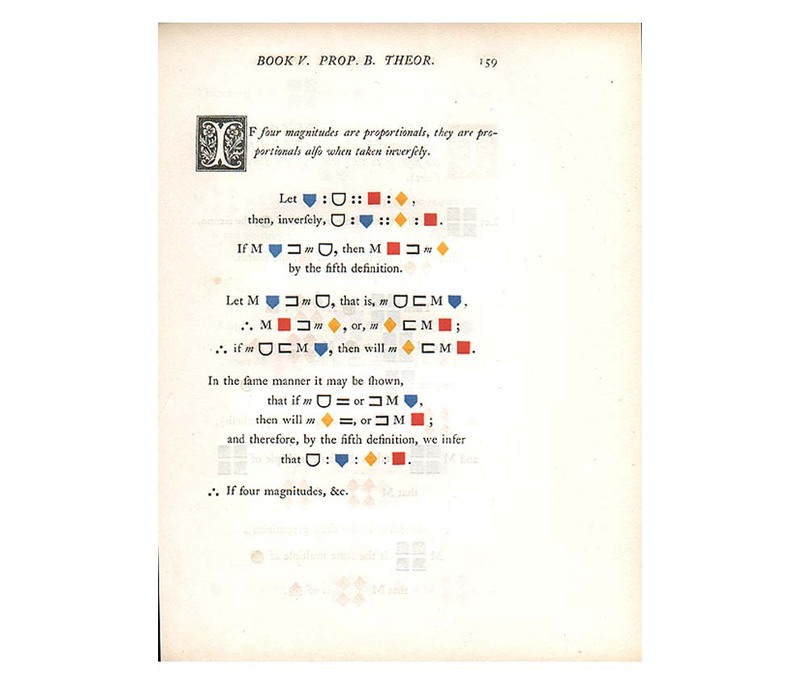 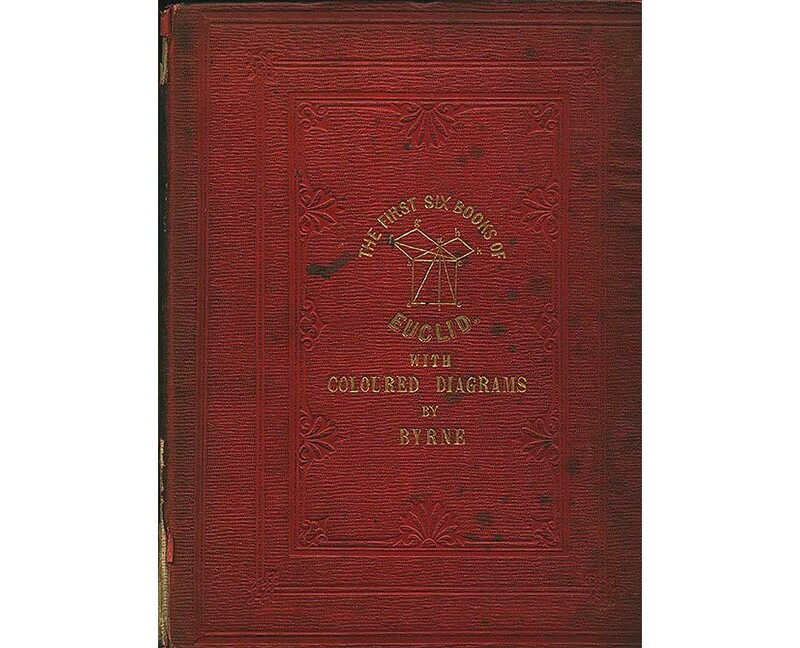 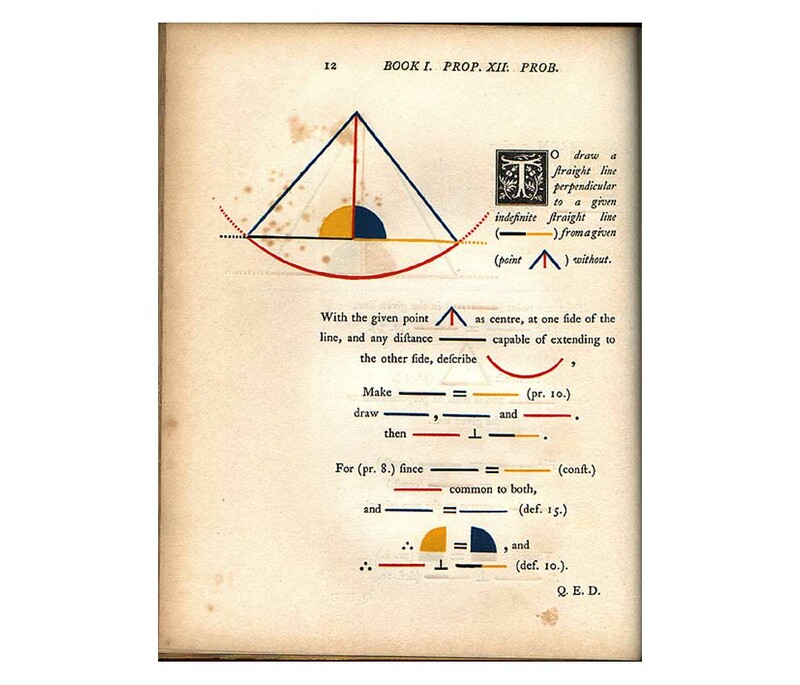 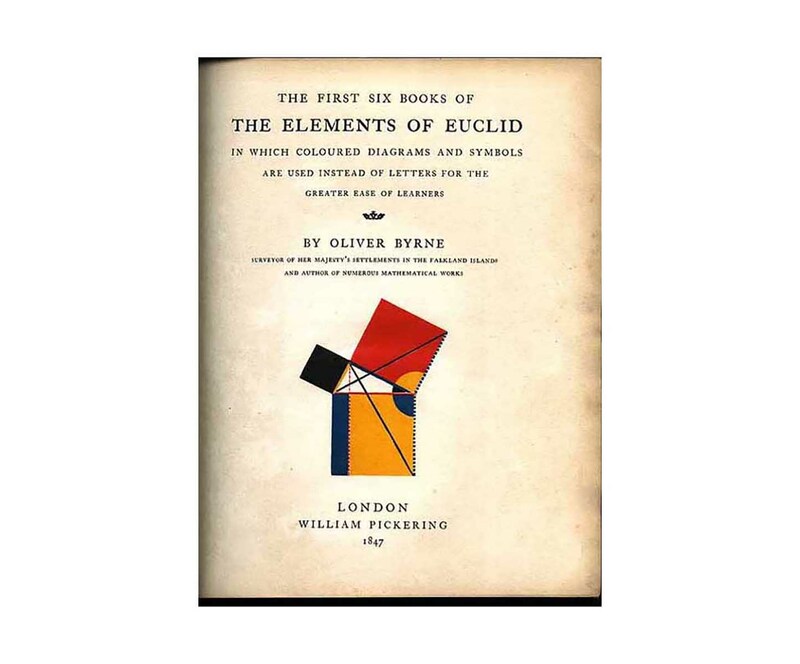 Oliver Byrne's redrawing of Euclid in colour and shape, was published in 1847. 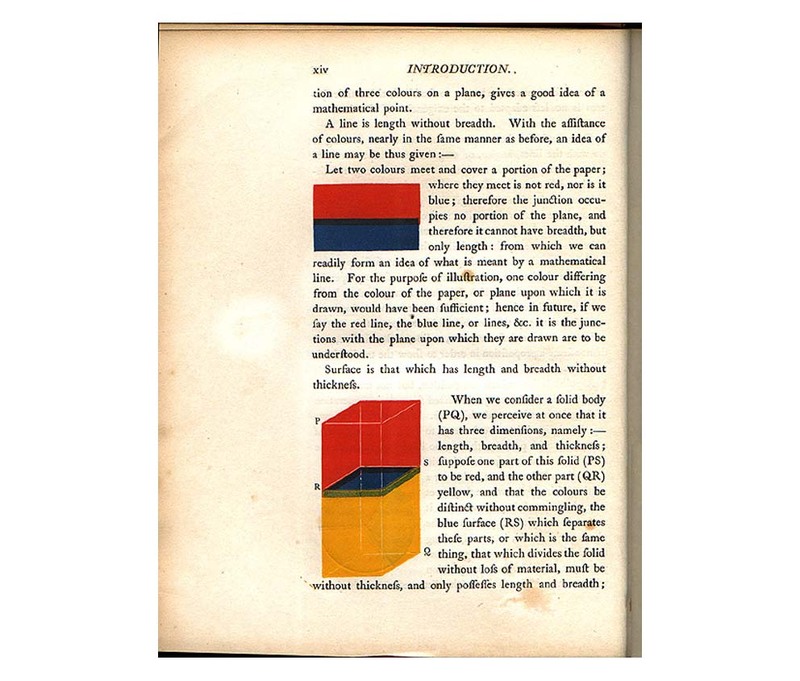 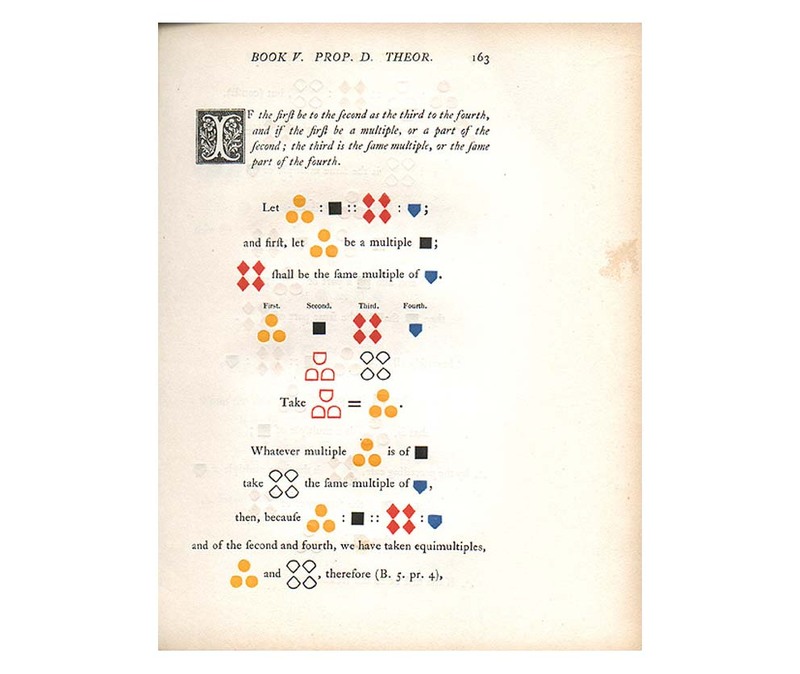 See Tufte, op.cit., p.84 that Byrne discards the letter coding of geometry for a building set of coloured shapes which, when added on the page, can be seen to add up. 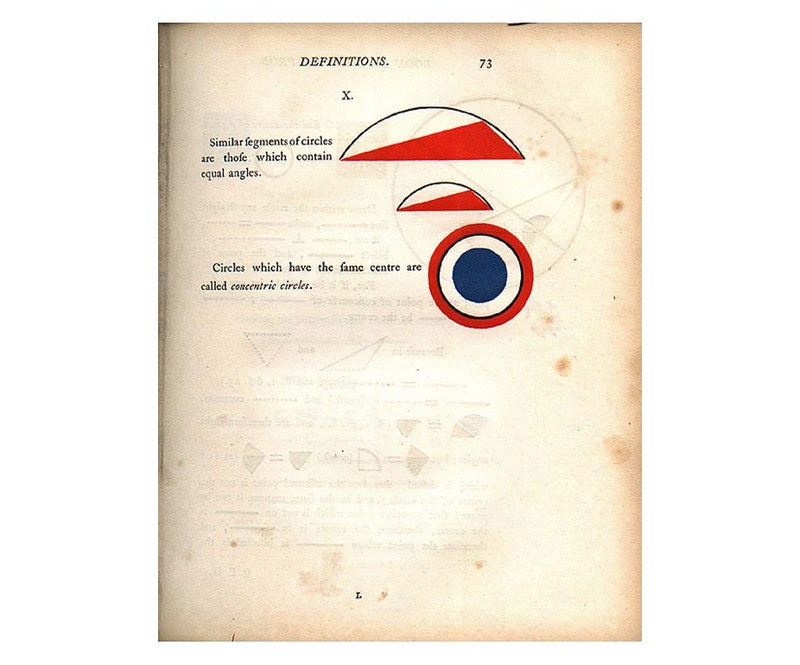 The experiment was a laudable one but one which had no subsequent influence that I can discover. 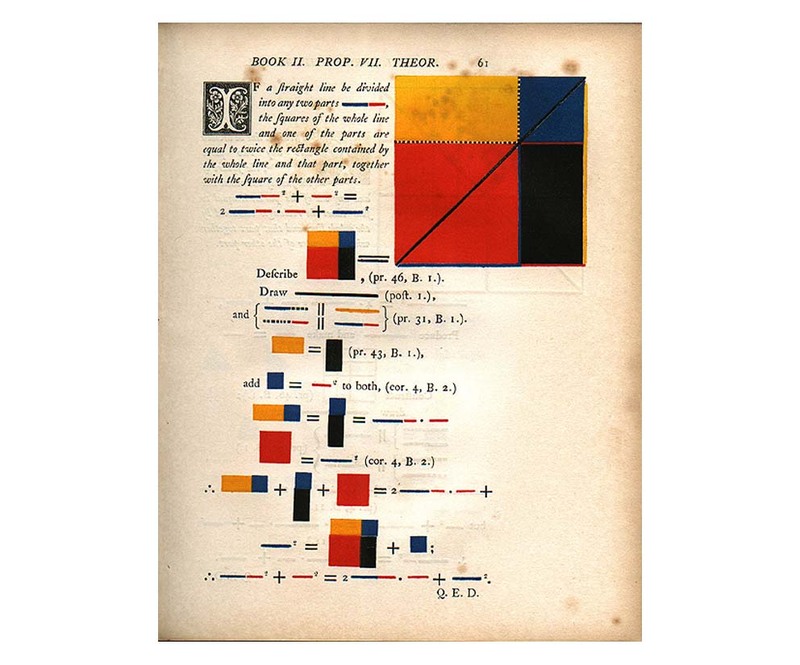 Apart from Mondrian and the De Stijl movement. 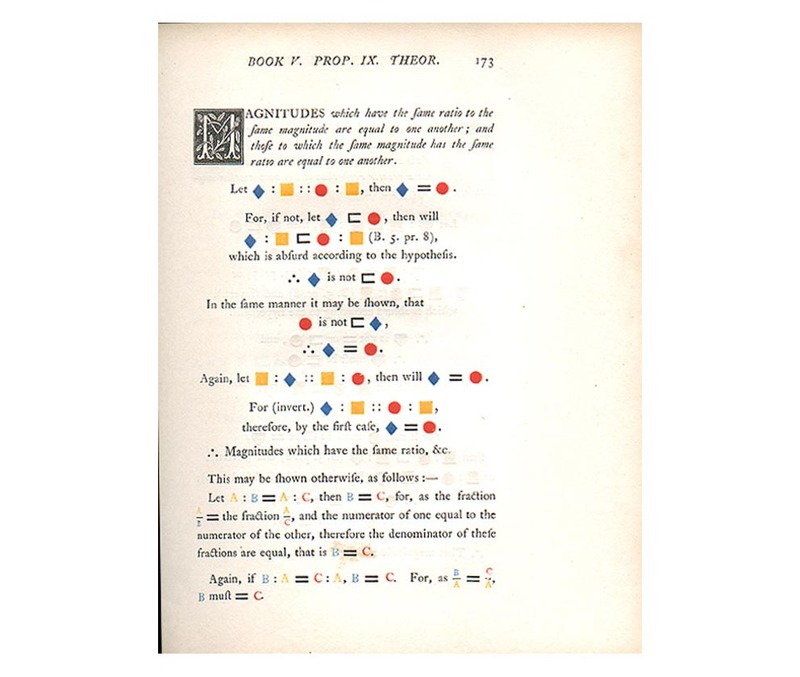 These scans were made from a first edition lent me by David Plumtree of Holleyman and Treacher. 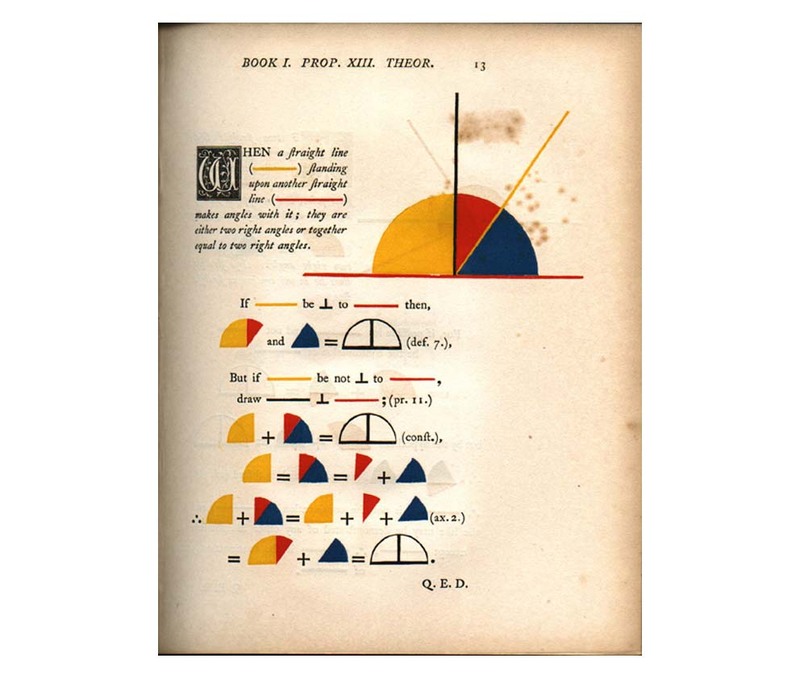 Further scans are from the recent Taschen reprint (with narrower margins).